RSVP Books Proudly Presents . . . Published 2001 by RSVP Press. E-Book version. The first book by 12 year old Joshua Burkhardt, a gifted artist. 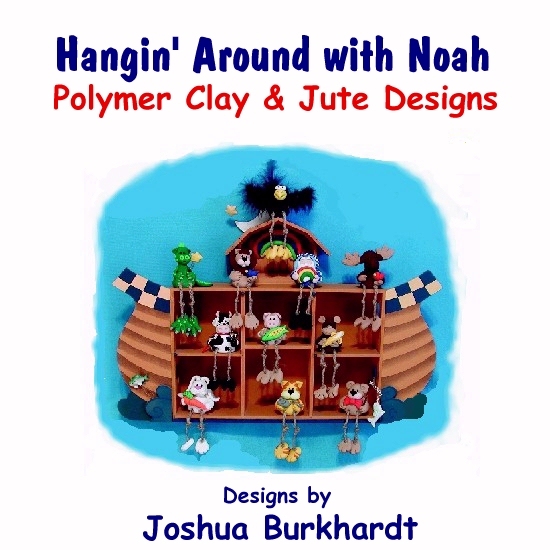 Well-designed, beautifully illustrated and well-written, Hangin‘ With Noah is a step-by-step guide to creating 11 polymer clay craft projects that are cute and lovable. A wonderful book for all ages - from kids to adults as well as those experienced with polymer clay and those newer to this incredible crafts medium. Craft projects can be used for computer buddies, flower pot sitters, etc. - or just to love and enjoy! Plus - Tips and hints for creating with polymer clay- including tips on tools, sculpting and modeling, and more. Also includes Bible verses, jokes and more! At 12 years old, Joshua Burkhardt, Florida, is a gifted artist, instructor and author. This is Joshua's first published book.